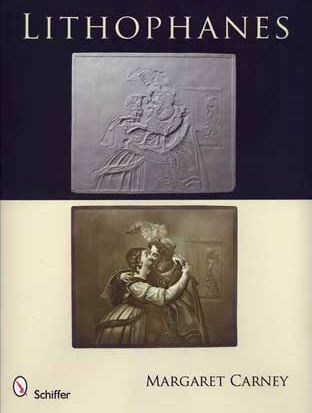 The term Lithophane is derived from the Greek litho meaning stone, and phainen meaning ‘to appear’. Lithophanes are three-dimensional translucent porcelain pieces which when backlit reveal detailed magical images. The different thicknesses of the material reveal and block the light in various degrees allowing for lighter and darker areas and creating an illusion of a gray-scale photo. The idea of the Lithophanes seem to have been introduced first in china in the 15th century and used in ceremonial tea cups. It showed up in France in the early 1800 and even patented by a French diplomat. Around the same time the lithophanes started being manufactured in Germany and were called by some, Berlin Transparencies. When first introduced, the porcelain was created as one-of-a-kind pieces etched by artists. Later the process of casting was introduced. This was still a very labor intensive process and required a skilled artist. The artist would carve the Lithophane prototype out of wax. The wax was then put in a cast. Once the cast hardened it was heated so that the wax can drip out and the porcelain was poured in. Each cast could be used for around 10-20 pieces. Porcelain, being a very fragile material would often crack and shatter in the process. These days, lithophanes are treasured and admired by colllectors. The Blair museum in Toledo, Ohio carries an extensive display. It even has one of our Light Affection lamps, showing the new reinvention of this historical art form. Light Affection also appears in the Litophanes book written by Margaret Carney, one of the curators of the museum. Today, Light Affection is preserving the art of lithophanes. It uses modern tools, processes and materials to be able to make personalized pieces that create the same unique effect, quality, feel and warmth that the Lithophanes have. Each light starts with a single photo that you supply us. We prep the photo, crop it and retouch it specifically to prepare it for the process. We also make sure to communicate any questions or concerns we may have about the quality or elements in the photo. Once the photo is ready, it is processed through our software and sent to the machine. The raw material is a flat plaque made out of semi-translucent natural and composite material. It has the same qualities of porcelain but is extremely durable (lasts for hundreds of years without changing its attributes or color) and feels somewhat like marble. The machine then carves the material to create the lithophane-like plaque. Each piece takes a few hours, depending on the size and complexity. When the carved piece is ready it is cleaned and carefully examined. Next we assemble the lamp or night light. The carved piece is inserted into a frame of your choice. The frames are all high quality wooden frames and are available in both Contemporary and Traditional styles. Styles and Colors vary depending on the size and selection at the time of the order. A back support piece is inserted along with the electrical parts required to plug the light into the socket. The larger size Light Affection lamps come with an energy efficient led light bulb. The smaller sizes (Night Light and Medium lamp) come with a small night light light bulb. 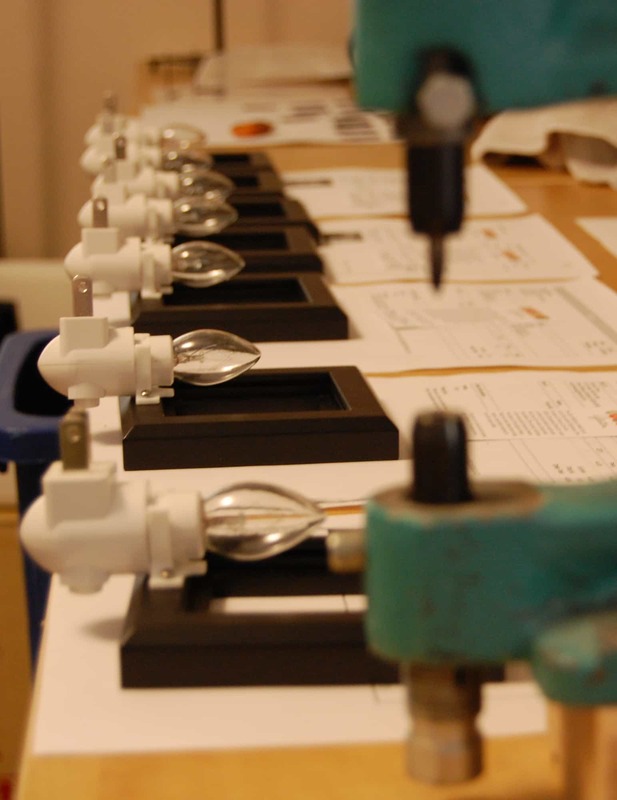 As each Light Affection lamp is unique, each one comes with an authenticity card specifying the unique serial number of the piece. When receiving the Light Affection lights, all you have to do is take it out of the box, plug it in and turn on the light to see the magic of the lithophanes.